This adorable plush Poodle is sure to become your best friend.. 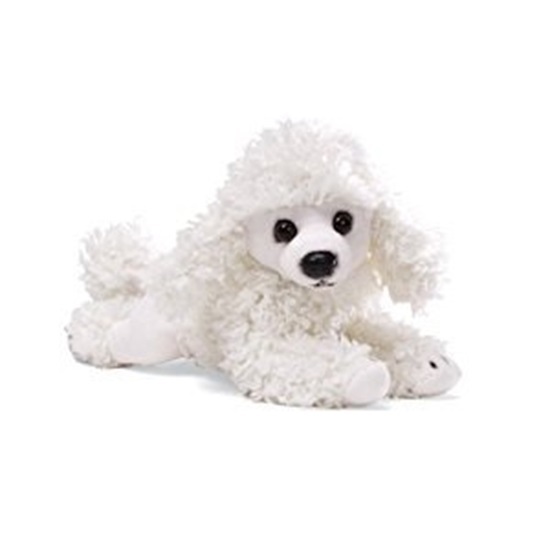 This adorable Plush Poodle Dog from Gund's Gundimals collection is sure to become your child's best friend! Made with all new plush materials this cute cuddly dog comes lying on his tummy & is stuffed to a cuddly 11 inches. He's has tight curly white plush fur with soft smooth velour trim on his lower body, neck, face & paws. He features plastic eye's & nose with a plastic beans stuffed tummy for extra weight.